Enter the Degrees Fahrenheit in the top line. Click on the Get Fahrenheit to Celsius Results button. Degrees Celsius results rounded to 1 decimal place. 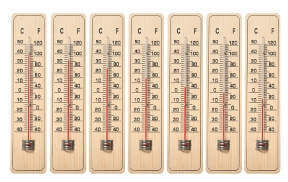 The boiling point of water is 100 degrees Celsius or 212 degrees Fahrenheit. The freezing point of water is 0 degrees Celsius or 32 degrees Fahrenheit.